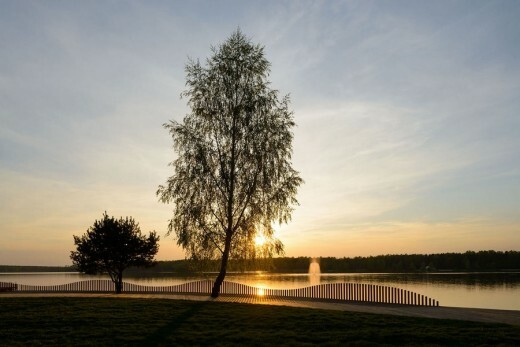 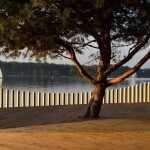 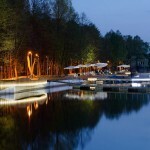 Paprocany lake is the place where inhabitants of Tychy often spend their spare-time. 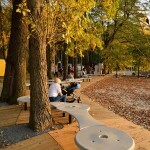 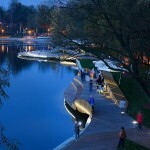 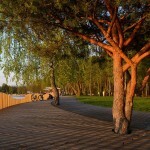 Concept is based on wooden promenade located along the bank which is alternately meandering out over the lake and back on the ground. 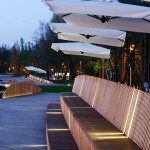 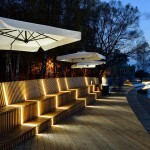 That allows for a different perception of space from various spots of the promenade. 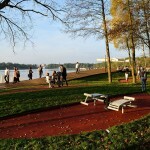 Promenade connects with pedestrian/bicycle path running on the back side and descends nearly touching the lake where it is over the water. 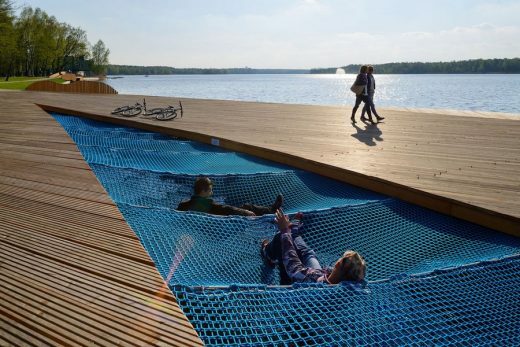 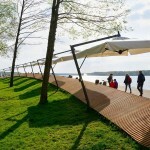 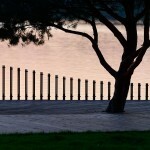 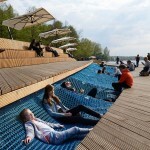 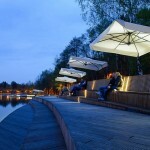 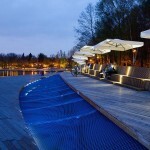 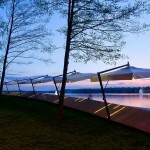 On a promenade there is an opening with a net streched over the water and specially designed benches which could be used as a tribunes for water sport competitions organized on a lake. 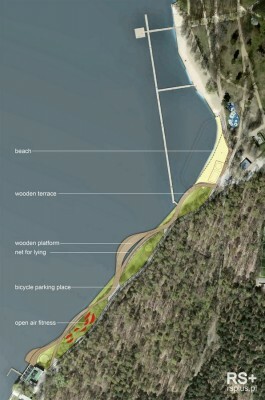 Whats more, there is new sandy beach and outdoor gym. 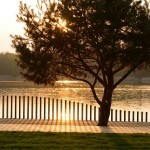 Land development takes about 2ha on the bank length about 400m. 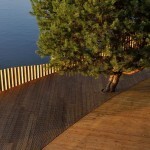 This terrain was only a lawn by the road before an investment, in spite of landscape vaues, completely unused except by fishermen.